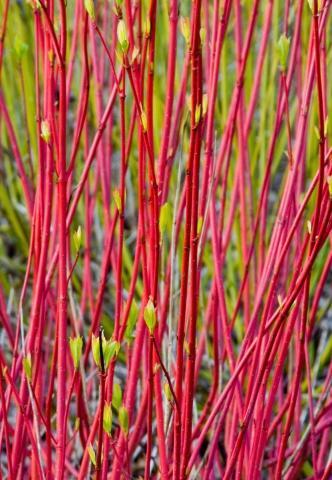 Deciduous revealing vibrant red winter stems. Clusters of cream flowers, May to June, followed by plump grey/blue berries with black eye. Excellent autumn colour. Sun or semi shade. 2m tall. Prune hard in March.